Blowout Sale! Free Shipping Included! 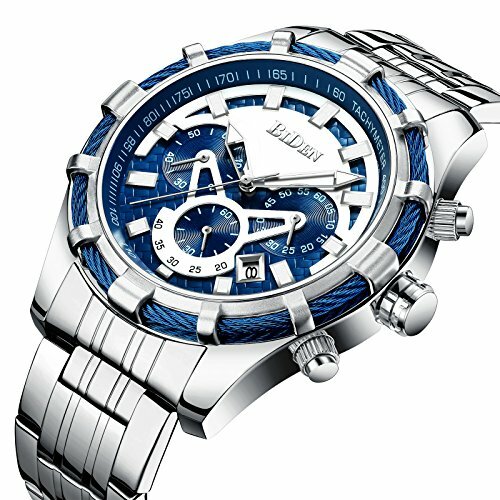 Save 86% on the Watches,Men Fashion casual Luxury Brand Chronograph Blue Watches Stainless Steel Waterproof Quartz Men's Watch by CHENXI at Watches Sales. MPN: y-021sd. Hurry! Limited time offer. Offer valid only while supplies last. Product description Description: 100% brand new and high quality. 3 workable sub-dials for week,12/24 Hour Formats,Calendar japan quartz movement. 3 workable sub-dials for week,12/24 Hour Formats,Calendar japan quartz movement. If you have any questions about this product by CHENXI, contact us by completing and submitting the form below. If you are looking for a specif part number, please include it with your message.